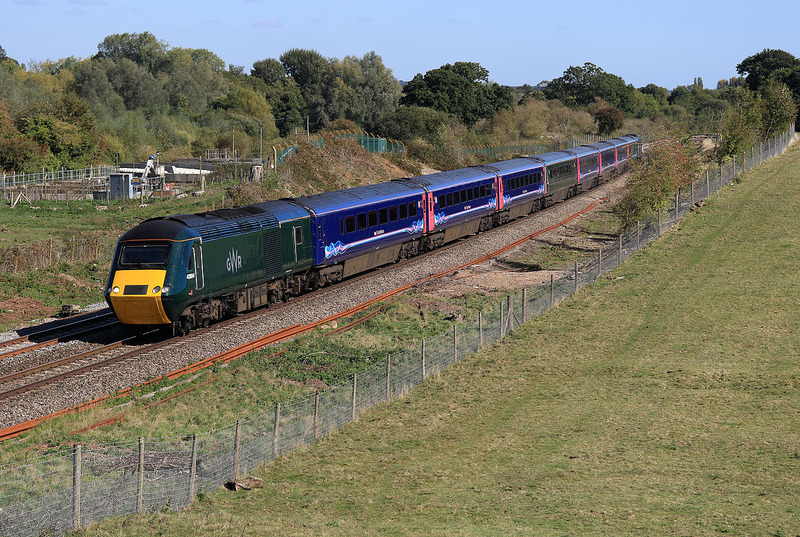 43004 passes Hungerford Common on 24 September 2018 with the 1C82 13:03 Paddington to Plymouth GWR service. Now the trees have gone, this view is even more open than it was in the 1980s, thanks to the removal of a redundant PW hut. On the minus side, the trees shielding the sewage works in the background have also gone!